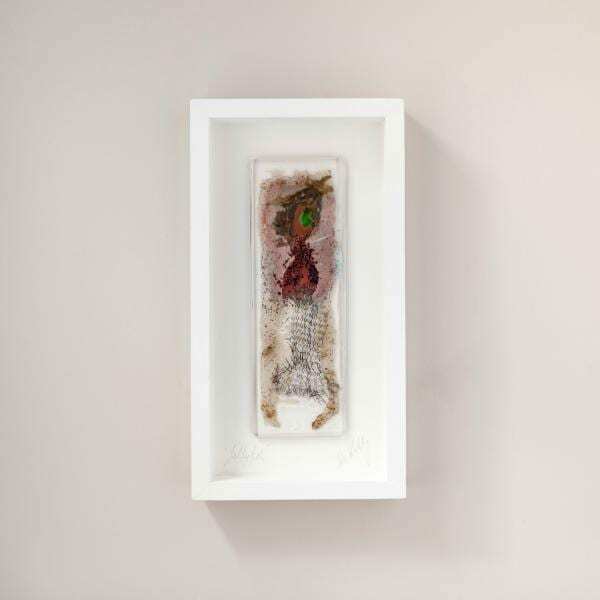 A beautifully framed fused glass piece that is at once instantly recognizable and inviting of further inspection. We thought you would like to know has been eyeing up our JellyFish for some time now and has requested we bring it your attention. What's your question about JellyFish? ‘JellyFish’ is an exemplary display of Eva Kelly masterful ability to use colour and texture in her fused glass pieces. The jellyfish is beautifully represented in the same ethereal manner you would encounter it in its natural habitat – without apparent edges yet perfectly clear to the swimmer. A lovely framed piece that is at once instantly recognisable and inviting of further inspection. 17" x 9" x 2"